On October 30, this past week, a woman I greatly admired and an author whom I loved, went to be with the Lord. It was a sudden death, so hard for those left behind, and she left behind a loving husband and 12 beautiful children. Many of you out there may of already know about her death and loved Barbara as much as I did. Though I never met in her person, we communicated over email and we considered each other "soul sisters" (her words, not mine :) Above is one of her first books and probably my favorite. 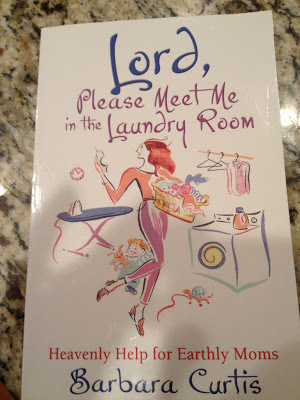 It's such an encouragement and inspiration to mothers, plus her testimony and story is weaved throughout the book, which makes it so interesting to read. I first heard about Barbara almost 4 years ago when my #9 child was born with "a little something extra." I was in shock after receiving the Down Syndrome diagnosis and began to pour over books about DS and about families with these special children. She had written a chapter in a book entitled "Gifts." There she told how her #8 child, a boy, was born with DS and then her and her husband went on to adopt 3 more sons over a period of about 8 years with DS as well. I was marveled. I ordered other books she had written and discovered her blog. I finally got the courage to email her and to my amazement she emailed me back pretty quickly and answered just about all my questions in a long personal email. We then, over the years, emailed back and forth and she even posted some of my blog posts on DS in her blog. You've probably noticed her blog banner at the right bottom corner of my blog. She was very political, pro-life and out spoken. 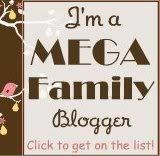 My husband and older children also loved to read her blog. I will miss her so much. Just knowing she was an email away if I had a pondering questions and I looked so forward to meeting her in person one day. I know now it will be in heaven and I know she is in a much better place. But please be in prayer for her precious husband and children. This has all made me realize how short and uncertain life is.......don't take anyone for granted. I too enjoyed her books and blog. I found her when Lillian was 2 and I was looking to homeschool her a special needs child, there wasn't much about it then. Deep in the archives of Barbra's blog is a picture of Lillian at 3 using her best concentration to use scissors. It was part of series she was blogging. We didn't get her picture in on time for it to be considered for the book though b/c I didn't have a digital camera yet and it took a lot more effort back then to upload pictures :) I will her blog and pray for her family.